I dream about Prophet E. Makandiwa, what does that mean. Home Hurukuro NaProphet Makandiwa I dream about Prophet E. Makandiwa, what does that mean. QUESTION: Please Hide my ID or please answer me personally. Thank you so much for the good work you are doing and may God bless you for following in the revelation in placed in your heart. 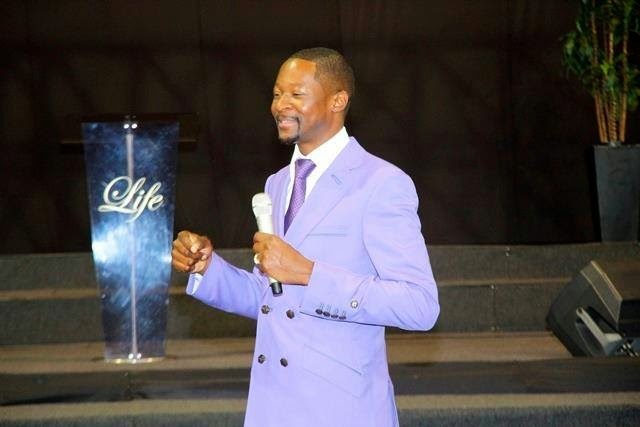 I am not a member of UFIC, but i listen to many of Prophet Makandiwa's sermons and they have been a great blessing in my life. I have a lot of dreams encountering the Man of God. The first dream happened in 2011, i dreamt i had gone to a UFIC service but i was standing outside, i told myself that i want to greet the man and woman of God when they come out. Upon them coming out i got a little scared and asked myself whether they would want to greet me, but as they came my way i stepped forward knelt down and greet the prophet as i was greeting the Prophetess she pulled me up and hugged me, she then continued walking with me, we were in front of the Prophet and he said this is a big somebody and his wife was like who, and he was like "iyeyu wamurikufamba naye she is a big somebody" and i woke up. I have had dreams were i see myself working at the altar at UFIC, at times i see myself at services and the man of God like talking directly to me. These visions i have experienced so many times. If God has given you the grace to explain to me, please assist me so i understand what God is telling me. I am leaving in Gwanda seven years now, but am from Norton. Thank You. ANSWER: Thanks very much for your letter.Firstly i dont really have the grace to interpret dreams,its ironically still a dream for me too but i know fellow members who liked this page are going to help to assist you.I personally had a similar experience is 2008.Here is my testimony,i dreamt of myself in a church service listening to the Prophet Emmanuel Makandiwa preaching,i was not a member of UFI at that time and neither was i a member of the assembly that Prophet Makandiwa was Pastoring in his former church. As the dream went on he pointed at me and then asked me to come and take a seat at a place closer to him and it ended there.I woke up and then i didn't take is serious until i shared with a friend who then told me that God at times redirects us to shepherds that take us to greater heights through dreams,thats how i ended up at UFIC.Now in June 2009 a funny thing happened,the dream was re-acted live and it amazed me,the Prophet called me to the front and then gave me a chair to sit on,moments later i started shaking and a process of serious deliverance took place. From that day my life changed,we moved from a one room cottage that we were staying in with my wife and by December of that same year we had our first car,a Mercedes Benz C.Class,this happened as we listened to the Prophet's rich teachings on finances with subjects including tithing,offerings,seeds,etc,these teachings plus a delivered spirit gave birth to testimony after testimony until now.I own companies that are doing well.As i was looking back to analyse the dream and the happenings after,i realised that God gave me the first step to take,which was listening to his voice telling me to go and serve under Prophet Emmanuel Makandiwa through the dream,the second part which was the deliverance part was never revealed in the dream,the teachings of the word were never revealed in the dream. I was already born again at that time,i had Jesus with me but i needed an instructor relevant for these times ,and God gave me a dream.So my friend thats my testimony,i just thought i must share it as i try to answer you. One thing about Prophet Emmanuel Makandiwa that i have learnt over the years is he does NOT ask or push people or anyone to follow him,everyone you see at UFIC today made their own choice and non is regretting unless they dont take the biblical instructions with revelation that we are taught by the Prophet.Your dream can be a different case though.